Second language learning has become an important element of formal education for many children in Europe and beyond. For some children, the language used at school is a second language (noted as L2), as they speak a different language or dialect at home. This not only holds for immigrant children, but also for children speaking an official minority language of their country of residence. Preschool years are important to develop adequate knowledge of the academic language, as later educational success builds on it. Thus, it is essential that children with a different home language than the dominant one receive “sensitive” bilingual input and interaction once they enter daycare and preschool settings. The robot tutor we develop here serves that crucial aim. Formal second language education has also become increasingly part of primary education programmes within Europe. In 2002, the EU stated the long-term ambition for every European citizen to have practical skills in at least two languages other than the mother tongue, which should be taught from a very young age. In practice, apart from a few exceptions, most countries opt for English as a second taught language in primary and pre-school, which is in line with the recommendations from the EU’s multilingualism policy to start teaching children a second language early in the curriculum. Moreover, 98% of the respondents from a recent survey consider that mastering a foreign language is useful for their children’s future. 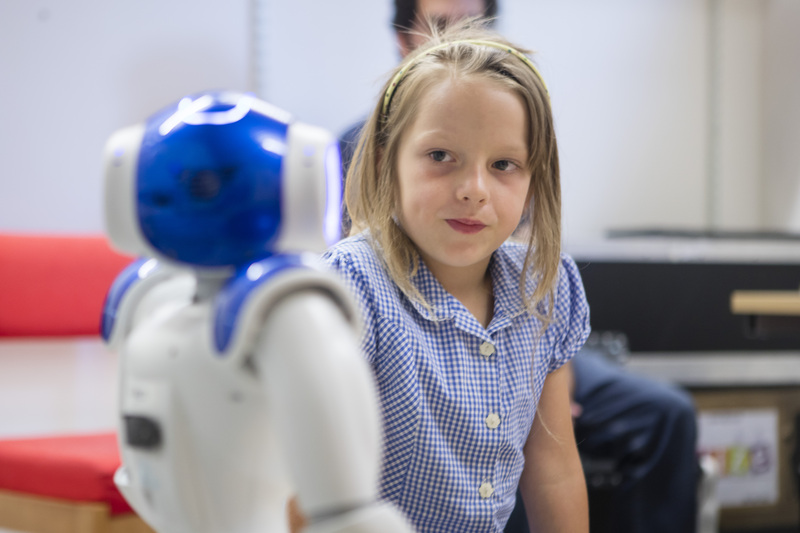 Our vision is that social robots can contribute to Europe’s aim to teach every child a second language through one-to-one tutoring. Social robots are becoming increasingly part of our society, and can support humans in a multitude of ways – in health care, elderly care, entertainment, and education. 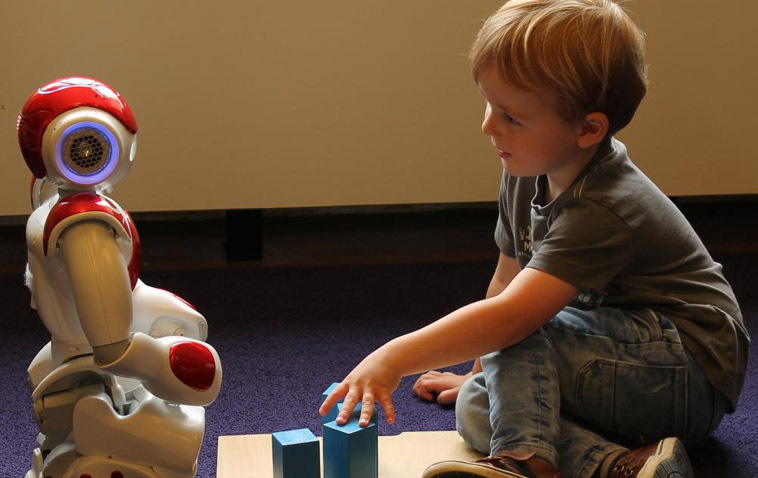 The role of a social robot as a second language tutor can facilitate the one-to-one tutoring of children using a perfect model of the target language, while at the same time being proficient in children’s mother tongue. 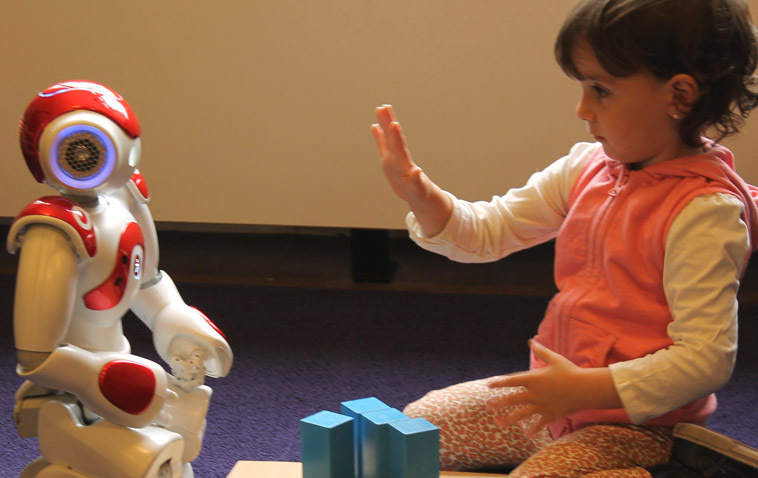 Moreover, being situated in the physical world, interactions with a social robot can be multimodal and refer to concrete objects and events, thus enhancing the learning environment of the child. L2TOR has addressed many of these issues and investigated how social robots can contribute to the education of children in the future.Whilst the potential of this technology is considerable and the project has yielded promising results, there are still several issues that need to be addressed before social robots can be effectively applied for second language tutoring in schools. These issues vary from technical ones (e.g. automatic speech recognition for children’s speech does not work well yet) to pedagogical ones (e.g. how can teachers design their own lessons and use robots in their own classroom). Yet, once successful, tutoring robots have considerable market potential. They could find their way into formal education, as assistive teaching technology offering one-to-one tutoring to children who need additional support or who enjoy an additional challenge. But there is also potential in the edutainment market for language tutoring robots; the already large edutainment market has room for social robots for informal home education. While robots are already entering many classrooms today, we believe that those that can effectively support children learning a second language are not yet there. Now that the L2TOR project has finished, new projects are being initiated to address the remaining open questions, as well as issues raised during the project.